2018-2019 Hunting Seasons Calendar updated! 2018 Gun & Knife Shows schedule updated! 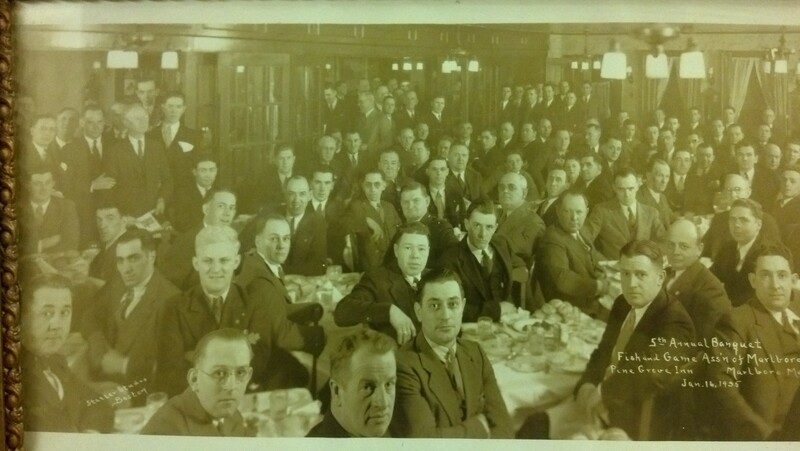 The original club was organized early in the 20th Century by a small group of conservationists, and was called the "Young Sportsmen's Club". This group tried for several years to sell its conservation programs with little success and was disbanded. In the early 1920s, depletion of wildlife and water pollution became so alarming that the group reorganized. 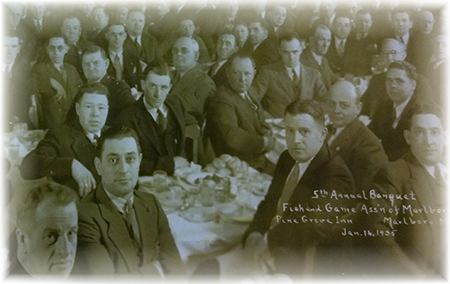 It was incorporated as the Marlboro Fish & Game Association in June of 1933. The first piece of real estate was purchased in 1931 and consisted of 26 acres. The land was cleared and, later in 1933, a portable building was purchased from the Town of Northborough. In 1947, the club purchased 21 additional acres of land. Members began building the first trout pond and a steady program of advancement and expansion has progressed ever since. The City of Marlboro acquired 7.6 acres of land in the 1970s for the enlargement of Millham Reservoir. The club now includes 45 acres of land, a clubhouse with function hall, a pavilion, a caretaker's home, indoor and outdoor ranges for rifle, pistol, and archery, in addition to the fish ponds which are stocked for the use of its members. This page was last modified on 18 October 2018, at 13:53. This page has been accessed 206,056 times.